I absolutely love board games. For some reason they just make me smile! They're fun. And UNPLUGGED. 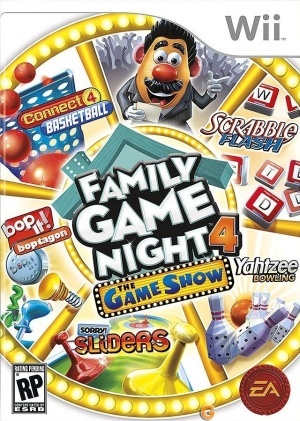 EA Games so kindly sent us Family Game Night 4 to review for Wii. There are 5 games you and your family can play. CONNECT 4 Basketball, Yatzhee! Bowling, SCRABBLE Flash, BOP-IT & SORRY! Sliders. You can win Monopoly cash after each game. So you can bring all the great classics together! Pick it up pretty much anywhere... The game is approx $40.